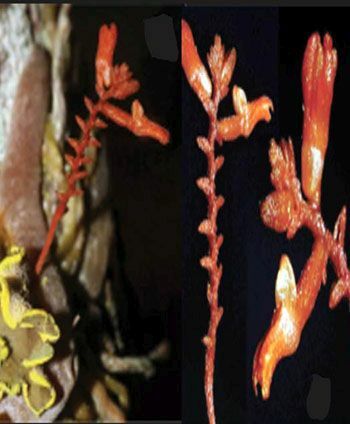 Found in Vietnam in submontane broad­leaved evergreen forests on granite at elevations around 1200 to 1300 meters as a miniature sized, cool growing epiphyte with roots giving rise in the late winter and early spring to a .4" [1 cm] long, successively few, many flowered inflorescence. 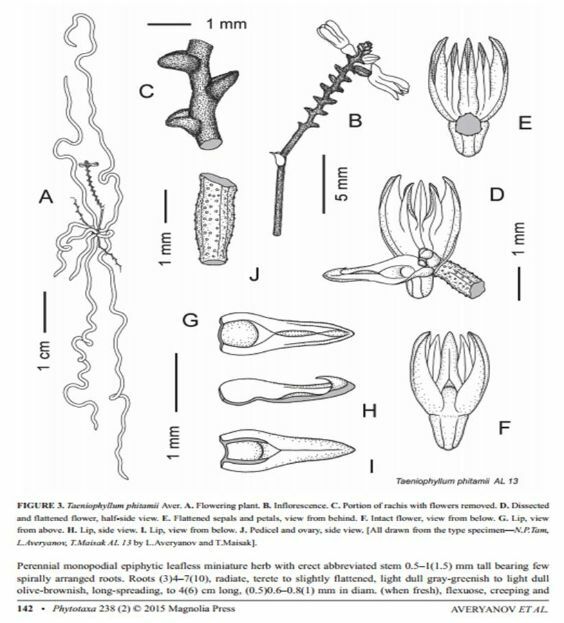 Note by Averyanov "This species may be close to T. rubrum Ridley (1896: 364) known from Kalimantan and Malacca Peninsula, having similar reddish inflorescence, floral bracts and flowers. Meanwhile, the new taxon differs in having much smaller, bright red, hardly opening flowers, many flowered inflorescences, a densely glandular verruculose rachis, floral bract and ovary, as well as containing fleshy, keeled, acute sepals and petals. Discovered species is a lone red- flowering member of the genus in mainland Asia. It was found in association with Chiloschista exuperi (Guillaumin 1957: 346) Garay (1972: 166), another endemic of southern Indochina.